Climate change is dramatically reshaping the Arctic landscape, reveals new research. 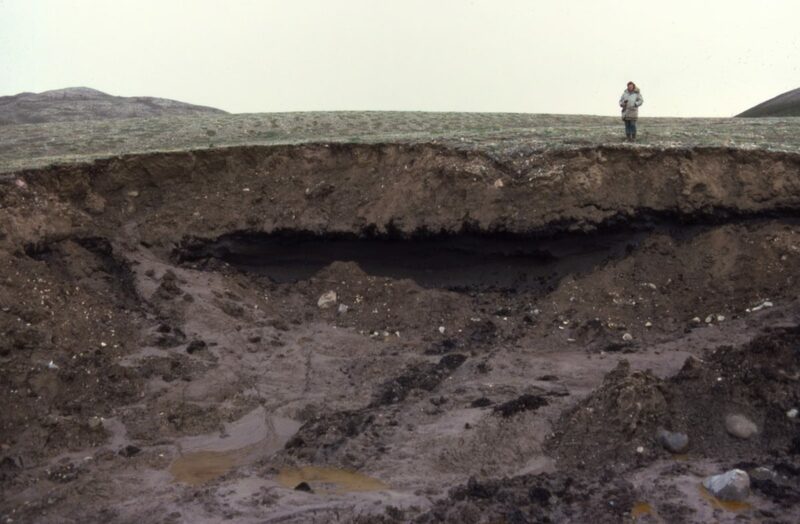 But a new study, published in the journal Nature Communications, shows that areas of cold permafrost can be vulnerable to rising summer temperatures. Using satellite images from the Google Earth Engine Timelapse dataset, researchers recorded an astonishing sixty-fold increase in the number of retrogressive thaw slumps – landslides caused by the melting of the ice in the permafrost – on Banks Island in the Canadian Arctic Archipelago over the past three decades. In 1984, there were about 60 active thaw slumps on the island. In 2013, there were more than 4,000, including about 300 initiated within Aulavik National Park. Overall, the area impacted by active slumping is now equivalent to that of the Island of Manhattan in New York. The analyses show that 85 per cent of new landslides on Banks Island formed after four particularly hot summers – 1998, 2010, 2011 and 2012 – which caused the uppermost layer of the permafrost to thaw. With global warming and rising temperatures, the researchers predict a further increase in retrogressive thaw slumps: even under a relatively conservative scenario, there could be 10,000 new slumps per decade on Banks Island alone. Since the thaw slumps can keep growing for decades, the research team calculates that this could mean the island alone could be home to a staggering 30,000 active landslides in any future year. The massive amount of sediment created by the slumps has choked some river valleys and affected more than 250 lakes on the island. Prof Antoni Lewkowicz, of the University of Ottawa in Canada, said the impact on aquatic ecosystems and fish populations are unknown because there are no figures for the areas affected. Thaw slumps disturb ecosystems for extended periods and also release previously frozen organic material that will break down into carbon dioxide or methane, increasing greenhouse gas emissions into the atmosphere and causing further global warming. The researchers were not the only ones to notice these dramatic changes. Residents of Sachs Harbour, a small Inuvialuit community on the island, had observed them first-hand. Thaw slumps and other landslides have affected their movements in certain parts of the island, making it harder to go hunting or fishing. Prof Lewkowicz added: “We cannot stop thousands of thaw slumps once they start.